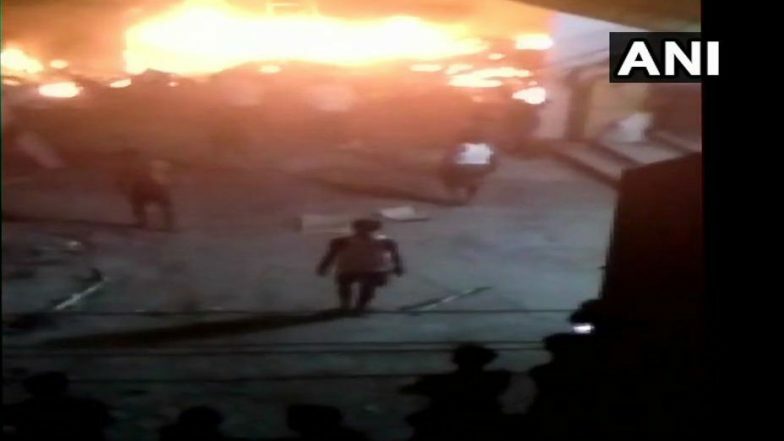 Gurugram (Haryana), April 15: A massive fire broke out in a godown after a CNG fitted car parked in the premises exploded, killing one person and injuring five others. The incident happened on Sunday night in the Kadipur industrial area here. Kandivali: CNG Cylinder Blast at Petrol Pump, Three Injured; Watch Video. Fire tenders rushed to the spot to douse the fire.Police are yet to ascertain the cause of the explosion.Further investigation is underway.